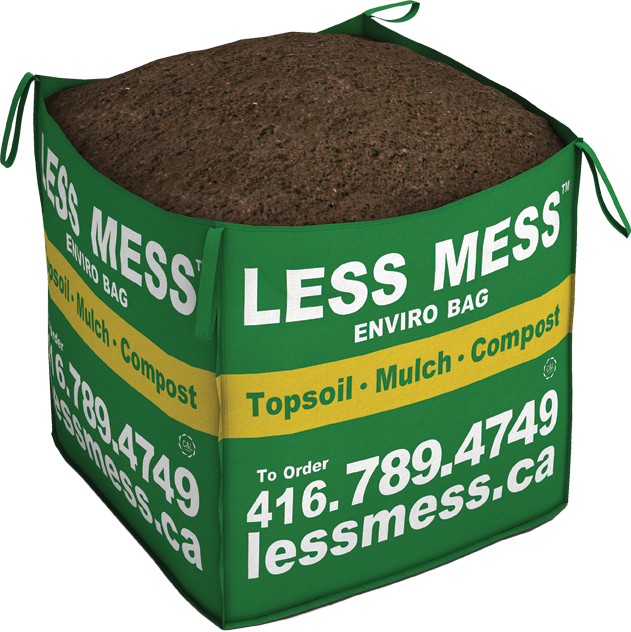 BUY LESS MESS™ COMPOST FOR QUICK HOME DELIVERY. Less Mess compost is a nutrient-rich blend that will vastly improve the overall soil quality of your garden for healthier plant growth. Compost is made of decomposed and partially decomposed organic matter that is dark and crumbly. The majority of compost available today is produced by aerobically decomposing organic matter such as leaves, yard trimmings, grass clippings, wood chips, paper fibre, bark, food scraps, manure and other vegetative matter. Depending on the sources used, compost will vary in texture. 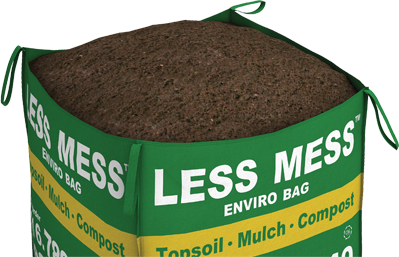 Less Mess delivers only Grade A standard compost which is well decomposed, stable, weed free, biologically dynamic and nutrient rich. The major benefit of using compost in your garden is that over time it greatly improves soil quality for healthier plant growth. Compost is an excellent soil conditioner that improves overall soil structure, increases fertility, improves soil aeration, improves moisture retention and water penetration, moderates temperatures and promotes healthy microorganism and earthworm activity. As a topping, compost reduces the spread of weeds, and Less Mess’ deep rich colour adds natural beauty to every garden. BENEFITS OF USING LESS MESS COMPOST. Inexpensive alternative to chemical fertilizers. Gradually releases nutrients into your garden.